Shopping for Harley Quinn Vinyl Figures? Harley Quinn has been around for over 25 years and she is as crazy as ever! 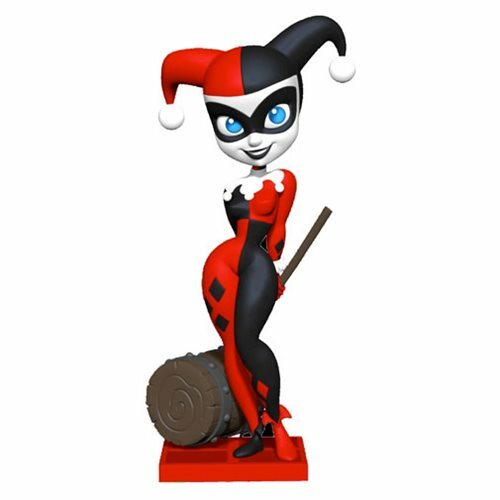 This 7-inch tall vinyl figure pays tribute to the character's origins by depicting her in her classic red-and-black jester costume, the same outfit she wore when she was introduced in Batman: The Animated Series in 1992. She playfully holds her signature mallet behind her back as a reminder that, when Harley is around, mayhem is always just moments away! The vinyl figure is packaged inside a window display box.